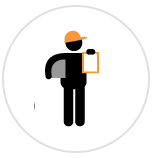 Parcelink offers next day courier services across the UK and internationally. We provide a unique solution as a secure route to market for the unconventional product. Our solution delivers a tracked, timely and cost effective pipeline. We do not charge a huge premium for delivery on a Saturday as it is not always easy to get everything done in the week, which is why we leave time in our delivery schedules for those last minute weekend requirements. We have over 100 years of parcel experience between the senior team yet our thought process is clearly in the 21st century. 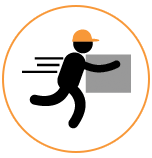 We are passionate about what we do and we care about the delivery of your parcels so you can rest assured that your products are in safe hands. 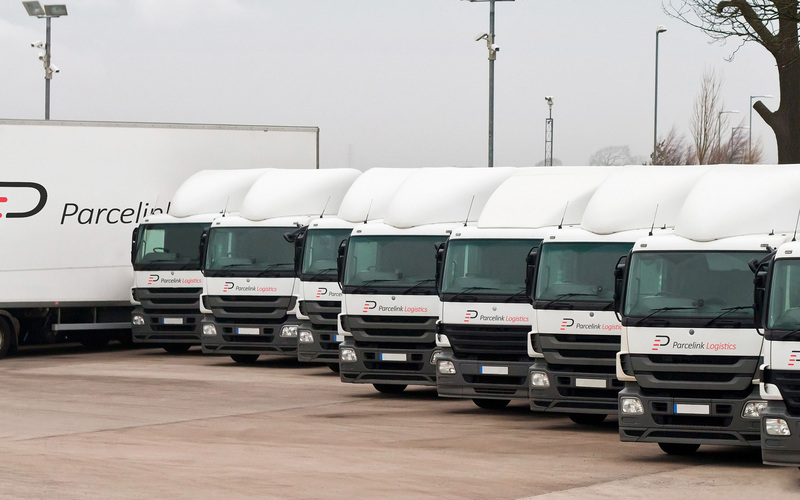 Why not give us a call and then relax, knowing that your logistics requirements will delivered quickly, efficiently and most importantly, on time and to budget. 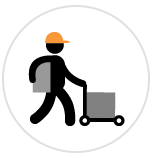 WE FIND A SOLUTION FOR THE PARCELS THAT OTHERS CARRIERS FIND DIFFICULT TO DELIVER. WE ARE ALREADY ESTABLISHED WITHIN THE LENGTHS SECTOR OF THE DELIVERY MARKET, BUT UNLIKE OUR COMPETITORS, WE DO NOT SURCHARGE FOR LENGTHS UP TO 2.4M. No parcel delivery is too difficult. We can provide a solution for those “last minute” requirements because we understand that although planning is part of our everyday schedule, challenges will inevitably arise. We aim to provide an excellent service every day of the week. As a result, we believe it is important to build relationships with those who want to offer a 6-day delivery option. On occasion customers demand a specific type of service, we aim to provide a solution for every logistical challenge. Q: What dimensions will you accept? A: Whilst other carriers find the larger parcels challenging, we will convey freight up to 2.4m in length through our next day delivery promise. Q: Will my product be tracked? A: Yes, all products can be tracked via the Parcelink website. Q: What time will you collect? A: We design individual solutions for our customers which includes offering a later collection time than other carriers. Q: Is there a customer services team that can help me with my enquiry? A: Yes, we have a dedicated customer services team who are always ready to help with any enquiries. A: The whole of the UK and Ireland. Our international offering is under development. Q: Is my item insured? A: Yes, you are insured through our company’s standard transit liability. Q: Why are you so different? A: We collect, sort, despatch and then inject your product into a delivery depot who will then complete the final mile under the strict disciplines of Parcelink. 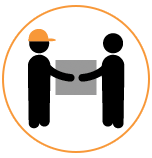 Q: Can we integrate our IT systems into Parcelink’s ? A: Yes, we have various IT solutions to meet individual requirements. Q: Where is your Hub? A: We are based in the Midlands Region in a recently acquired sortation Hub. Q: How long have you been operating? A: Parcelink was formed in 2015, however, the senior team collectively have over 100 years of experience in the parcel and freight industry.